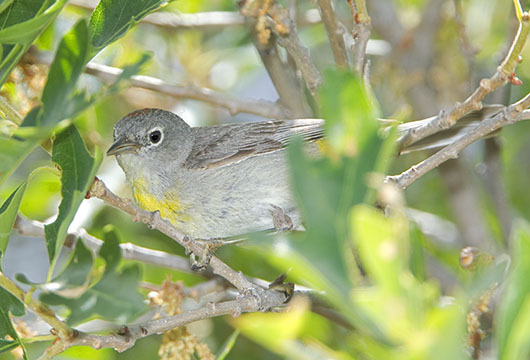 Virginia's warblers are drab, secretive summer residents of brushy areas in the western United States. 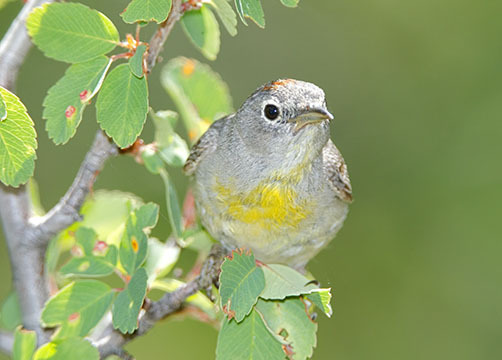 They are gray overall, with a white eye-ring, yellow on the breast, rump, and undertail (crissum) and -- if seen well -- a small chestnut patch on the crown. 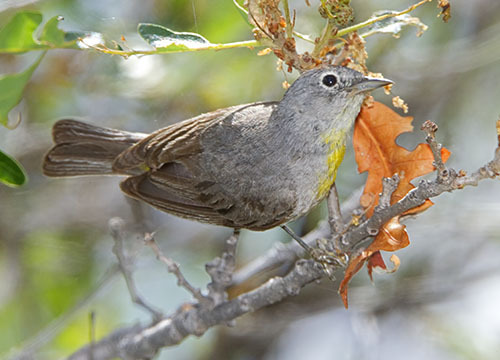 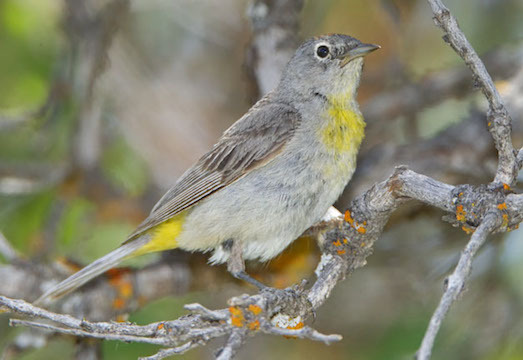 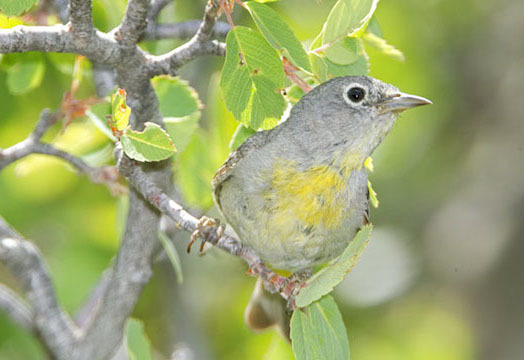 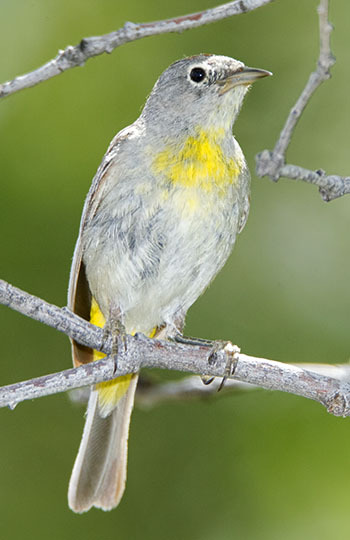 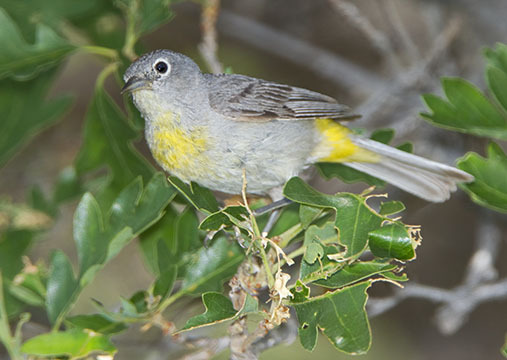 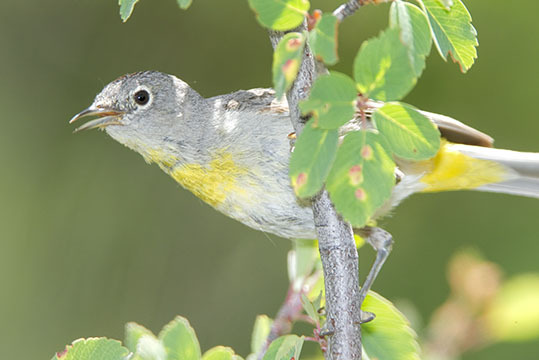 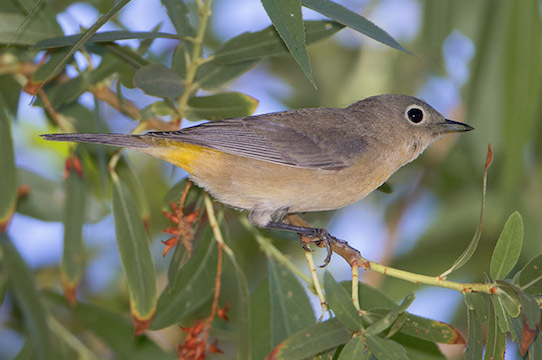 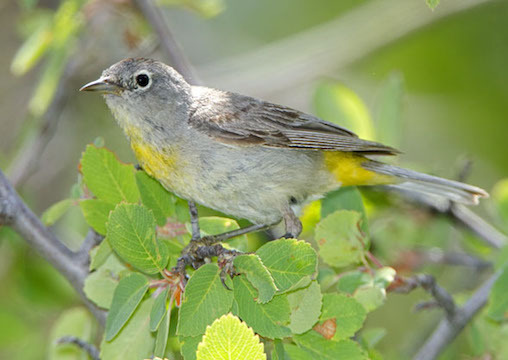 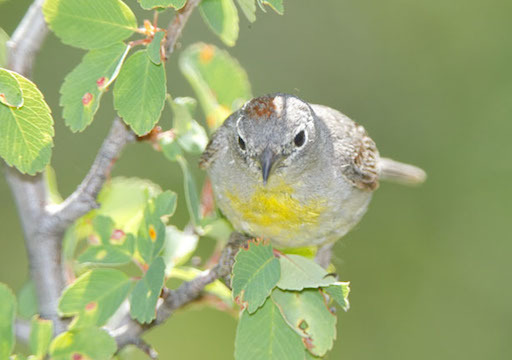 One bird shown here (even drabber than usual as it is in the initial states of post-breeding molt) was photographed in scrub-oak just below the south entrance of Black Canyon of the Gunnison National Park in Colorado; another (one photo, in a willow) was migrating through the San Jacinto Wildlife Area near Riverside, California.